Elizabeth George, described by Entertainment Weekly as "the queen of the mystery genre," is the author of the bestselling crime novels about Inspector Thomas Lynley. Her books are known for complex plotting, elegant writing, and well-developed characters, all of which she also brings to her novels for teens. 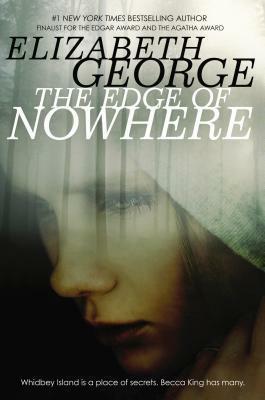 The first book in the Whidbey Island saga, The Edge of Nowhere, was a finalist for both the Edgar and Agatha Awards. The second book, The Edge of the Water, and the third, The Edge of the Shadows, continue the story in the island setting, which is notable for its beauty and mystery. Elizabeth George lives on Whidbey Island. She says, "Whidbey Island deserves to be 'someone' in a story. I only hope I've done it justice." Visit Elizabeth George at www.elizabethgeorgeonline.com.